The chapel during that time seldom serve its purpose. The structure are common in nature with the low roof without ceiling. The foundations are big boulders of thick slab of stones that serve as a sturdy wall of the chapel. The Altar was a glass enclosure where the image of St. Michael is being placed on occasional rites. 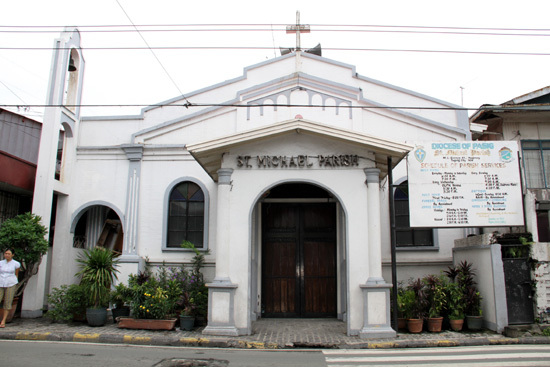 Likewise, the chapel is being used as a nerve for the“Pabasa” during the Holy Week. During the passing of time, the two acacia trees was cut off to the dismay of some religious group. It was in October 2010 when Fr. 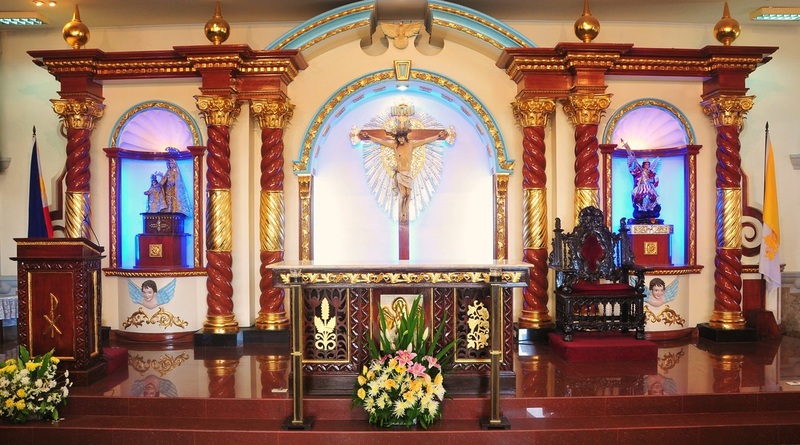 Hernan Mendoza executed her desire to build a new altar to a baroque style with the help of the parishioners and the determination of Fr. Hernan, the new altar came into a reality. Beaming with pride the parishioners stood tall in saying that the altar of St. Michael Parish is a product of love and commitment. 2. 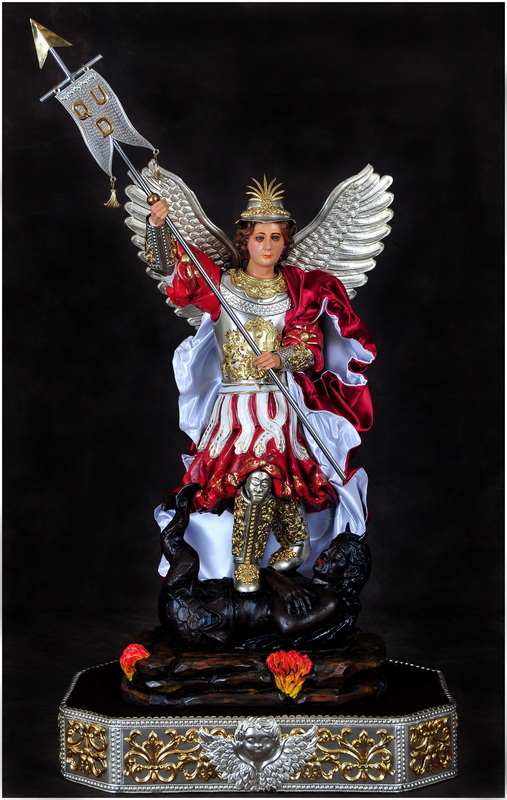 September 29 – on this day a dedication was accorded to St. Michael and a basilica was built in Solario in Rome, Italy for the many blessings and favors of St. Michael assorted to his devotee.